Why hello! Only one week away from my due date and generally feeling fabulous (thank you universe!) minus the odd day here and there where I cry the whole time and feel the weight of the world bear down on my bladder... good times. Physically I am feeling really good considering I have an extra few kilos hanging out my front but it's the mental stuff that is most challenging. As you near your date it's this crazy mind game of when will it happen, or is this little niggle something? What does this mean?! I am really having to practice digging deep and finding calm in the midst of all the thoughts going through my head. Most days I wake up and have to make the conscious choice to have a good positive day and not dwell on the powerful event that is looming. 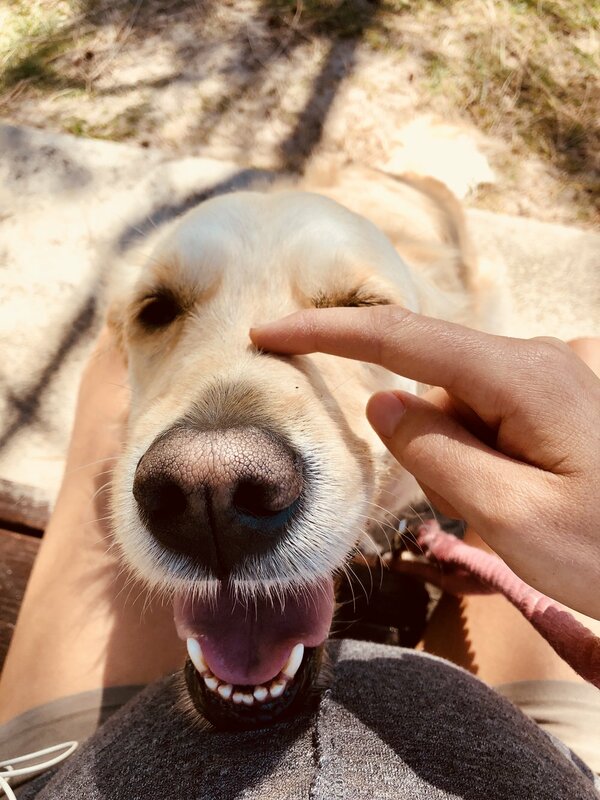 My favourite thing to currently do is head up to Coolum with my dog Riley and go for a nice stroll beachside then sit at my favourite cafe New Earth Cafe and peacefully enjoy a frappe! It's the best and I am very grateful and aware of enjoying this time as much as I can.